I was a cheerleader after all, though not for a sport. Mainly directed towards young kids like Alex and Avin. 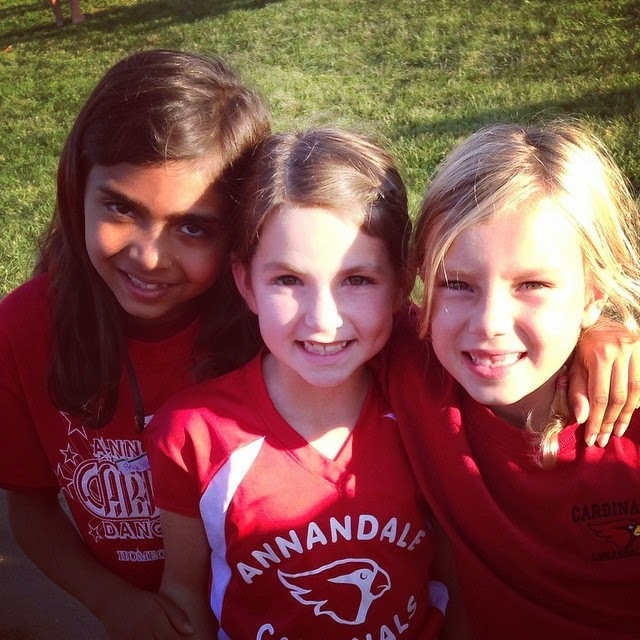 and kids all over where sporting Annandale gear, red and black outfits! Can't wait to get them a few more things! If they will make friends, feel welcome and still be confident in themselves. It truly warms a months heart, knowing her daughter is happy. Making new friends every day and truly loving school. Can't wait for homecoming next year!